These days, it seems we are maintaining many different parts of our health in an attempt to stay as active as possible. Managing blood sugar, emphasizing heart health, now trying to balance that with brain health… it’s easy to get overwhelmed. 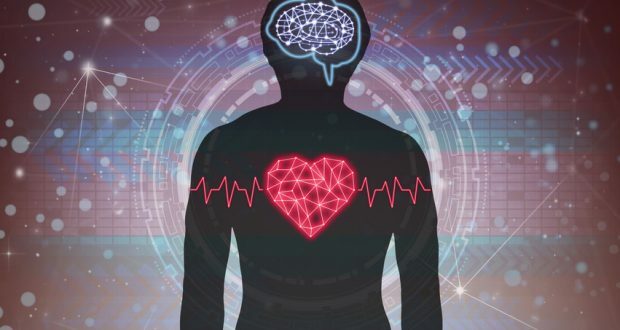 Research is finding that hard work is worth it – there is a strong connection between heart health and brain health as we age. A recent study found that better cardiovascular health was associated with better brain health in older people. Seven metrics (points of research) were compared between participants aged 65 and over: physical activity, diet, BMI, smoking, cholesterol levels, blood pressure, and blood glucose levels. The analysis studied over 6,600 people, and published quite interesting findings! Researchers found that study participants who met none of the metrics experienced declines in cognition and memory twice as fast as participants who met all seven metrics. In layman’s terms – participants with unhealthy diets, higher BMI’s, those who smoked, didn’t exercise, etc. lost cognition and memory twice as fast as people whose metrics were favorable. Have you noticed anything that the metrics have in common? Metric factors that are associated with increased risk for cardiovascular disease (smoking, no exercise, unhealthy diet, high cholesterol, blood pressure, and blood sugar) also caused brain health to decline twice as fast. The connection is simple – take care of your heart, take care of your brain! What if you could benefit heart health and brain health at the same time… with food? It’s true! There are foods which benefit the brain and the heart at the same time, and they definitely deserve a place on your plate! Avocados are an excellent source of healthy fats and are also high in fiber. Avocados have been shown to reduce risk of hypertension, stroke, obesity, and other diseases. Consuming foods with high fiber content has also been shown to lower blood pressure, improve cholesterol levels, along with lowering and stabilizing blood sugar levels. The folate and vitamin K in avocados improve blood flow, preventing blood clots in the brain. This protects against stroke, as well as, improves memory and cognitive performance. Try this recipe for delicious, creamy avocado dip. Packed with omega-3 fatty acids, salmon is a true super food! These fatty acids keep your brain running in tip-top shape, improving cognition, memory, and focus. These same fatty acids also help prevent the development of cancer cells and have even been shown to kill them. Be cautious of the type of salmon you purchase. The above benefits can be found in Alaskan wild-caught salmon. Benefits decrease and potential health dangers increase when you choose farm-raised varieties. While salmon is delicious with only a simple slice of lemon, try this irresistible Sesame-Soy Salmon. The high levels of antioxidants, vitamins and minerals in walnuts improve focus, alertness, and provide a boost of energy. The vitamin E found in walnuts has also been shown to decrease risk for Alzheimer’s dementia. Walnuts, almonds, hazelnuts, and pecans all contain the vitamins, minerals, and monounsaturated fats that contribute to heart health. Enjoy a handful as an afternoon snack, or add nut butter to your favorite cookie recipe. Speaking of delicious desserts, cocoa helps to improve cardiovascular function and brain health. Health benefits of cocoa include relief from high blood pressure, high cholesterol, chronic fatigue syndrome and various other illnesses. The antioxidant component of cocoa has been found to battle free radicals, reducing cell and tissue damage. Research has suggested that cocoa’s flavanols (phytonutrients with antioxidant properties) may contribute to maintaining a healthy brain and can positively affect learning and memory functions. Not to mention, cocoa possesses mood-enhancing properties and is rich in minerals such as iron, magnesium, calcium, zinc, and potassium. Chocolate really does make you happy… according to science! Sip sip hooray! The antioxidants found in green tea help prevent against free radical damage to the body’s cells. This lowers risk for a host of diseases from heart disease to cancer. Tea also boosts cell health, bone density, and helps deter aging. Drinking tea is also linked to a reduced risk of stroke due to high cholesterol. Studies have found that individuals who drink 12 ounces or more of tea every day are half as likely to suffer a heart attack as individuals who do not drink tea. When you make good food choices, you will not only feel better in the short-term, you are making an investment in your long-term health. This is especially true for diabetics. When blood sugar is kept at stable levels, cardiovascular risk factors and brain disease risk factors are reduced. One piece of health is closely tied to all the others. It’s important to balance your overall health in order to enjoy the best and longest life possible!